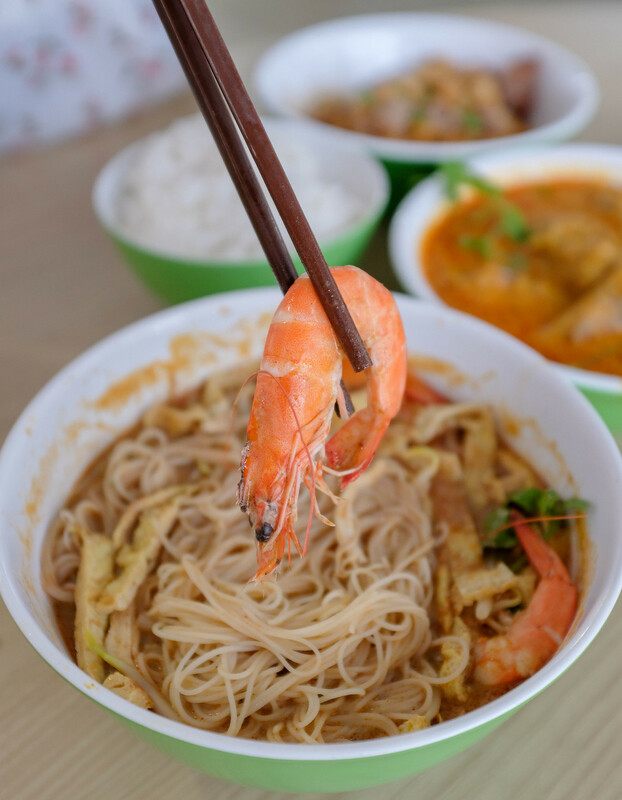 Zhong Pin Noodle House was featured on Our Makan Places: Lost & Found recently for their delicious Sarawak noodles. 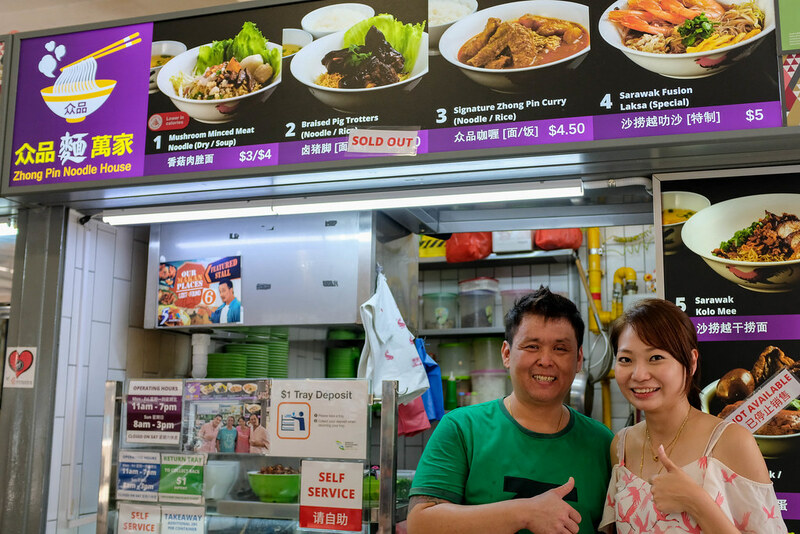 I made a trip to this humble hawker stall at Bukit Merah Central and had the pleasure of meeting the owners Xan Tan and Roy Ong. The stall was located at Bukit Timah for around two years, before it shifted to its current location. 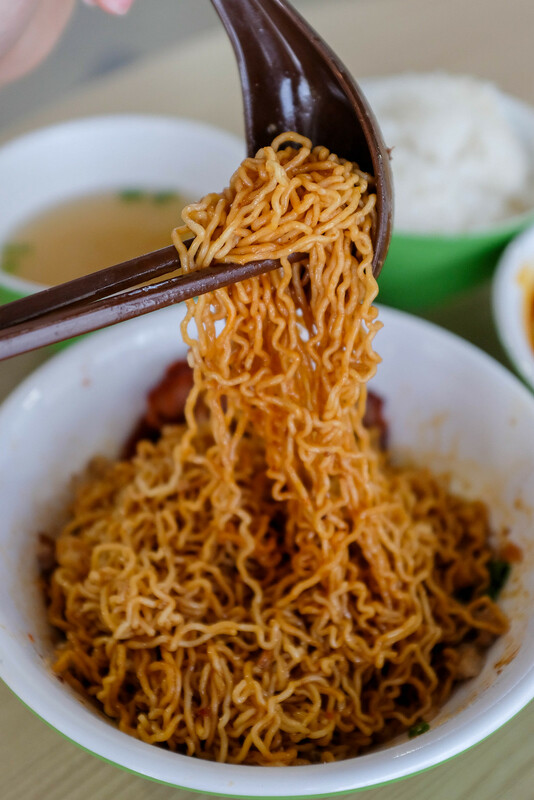 Roy, who created all the recipes at Zhong Pin Noodle House, cooks for his own family frequently. 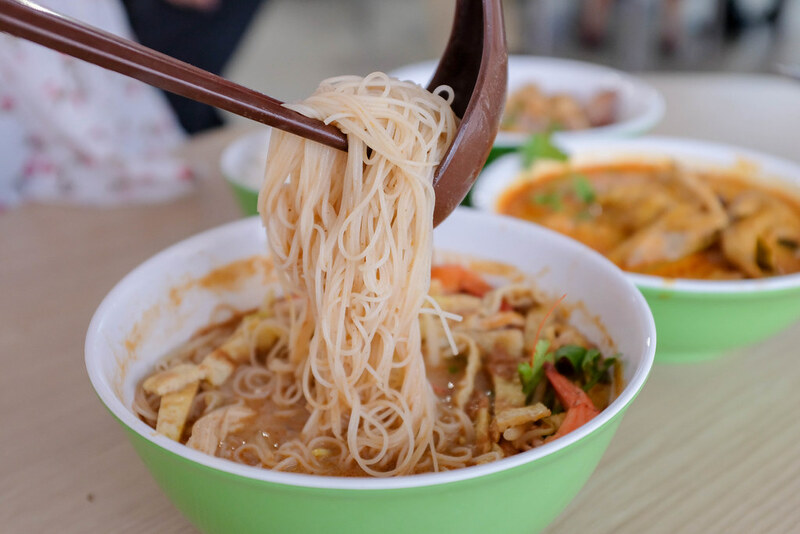 Many of the noodle dishes here taste different from the usual hawker fare — they all boast a distinct taste of home. 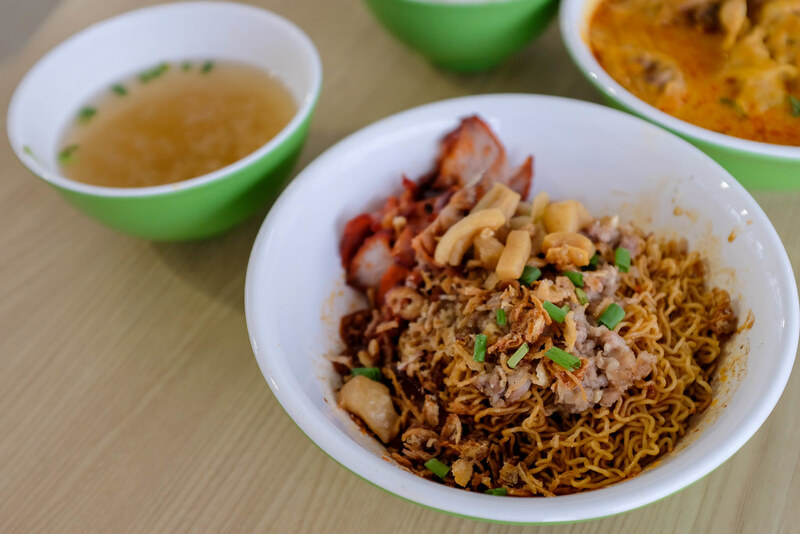 If you take a look at Zhong Pin’s menu, you may be slightly confused by the inclusion of Sarawak noodles, in addition to the familiar ba chor mee and fish ball noodles. Roy’s best friend is a big fan of Sarawakian cuisine, and often lamented the lack of it in the local food scene. Hence, inspiration struck Roy and he saw an opportunity to introduce quality Sarawakian cuisine to Singapore. Roy actually travelled to all the different states in Sarawak to try their food, and learnt tips and tricks from local chefs too! The Sarawak Fusion Laksa ($5) is Zhong Pin’s speciality. Coming up with this dish was no easy feat. 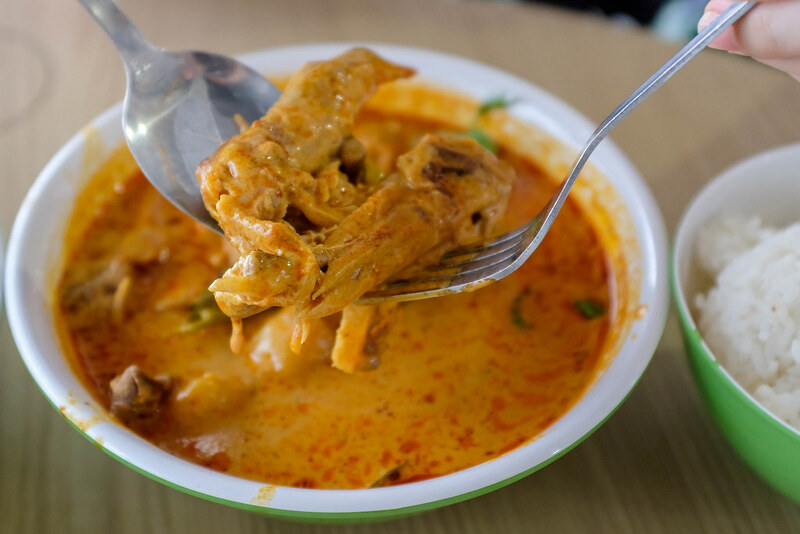 Xan shared that they were afraid that the original Sarawak laksa, which is more pungent and oily, would not please the palates of Singaporeans. Hence, the couple did some R&D and made a fusion Sarawak laksa of their own — one which Singaporeans would be more receptive to. The result is a mildly aromatic laksa that’s extremely flavourful. Unlike Singaporean laksa, Zhong Pin’s rendition is a lot less spicy. 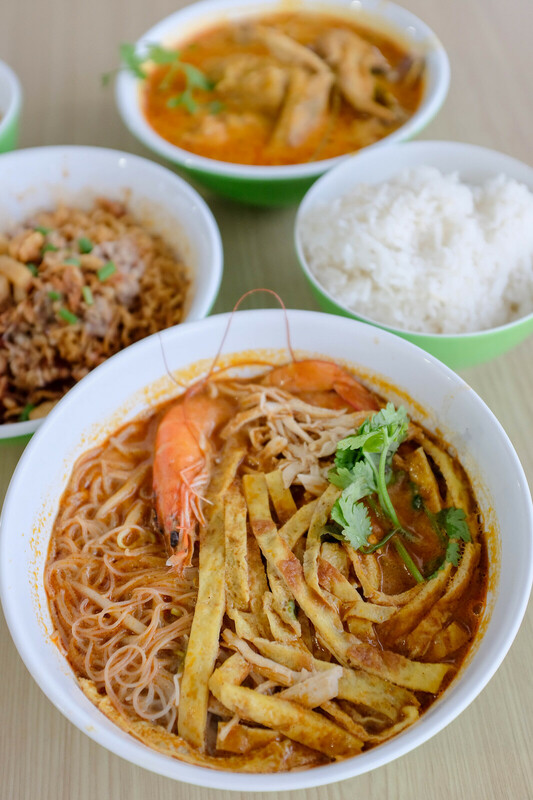 Many described this fusion laksa as a cross between mee siam and curry. In other words, you would probably love or hate this dish! The gravy has no MSG and only premium ingredients are used. Indeed, you can really taste the freshness of the large, crunchy prawns! My only complaint would be the bee hoon which did not soak up the laksa broth sufficiently. But aiyah, I guess that’s just the nature of bee hoon. Remember to add the homemade sambal chili and a squeeze of lime! 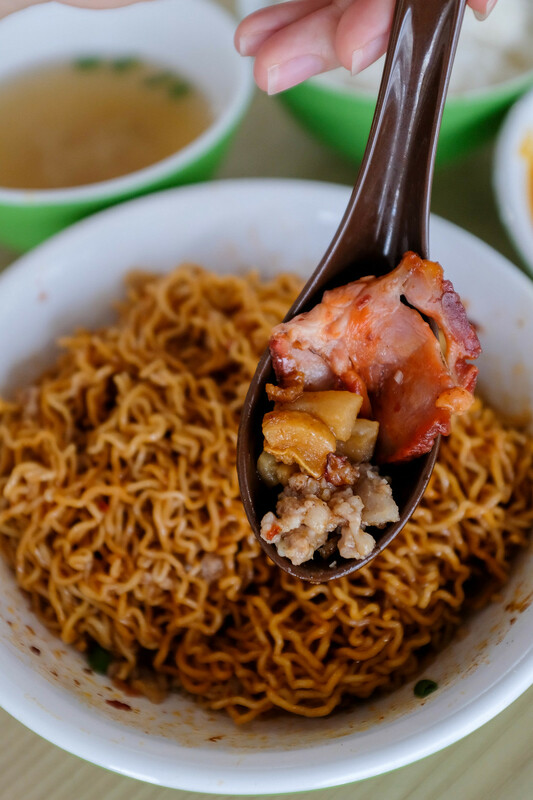 Sarawak Kolo mee seems to be a simpler dish — the noodles and oil are the key ingredients. The noodles are also usually not topped with an abundance of ingredients. Roy, once again, puts his own spin on kolo mee. Zhong Pin’s Sarawak Kolo Mee ($4) is heavier, and has quite a fair bit of ingredients. Initially, I found the kolo mee to be on the sweeter side. The tender housemade char siew was a little too lean for my liking. Dig deeper into the bowl and you will find bar chor hidden beneath the noodles. I liked how the saltiness of bar chor balanced out the sweetness of the noodles. Another gem would be the big hunks of pork lard. So greasy, so sinful! However some pieces were harder than the rest. I felt that the egg noodles, which are imported from Malaysia, could have been more springy though. When Zhong Pin first started out, they only served noodles. 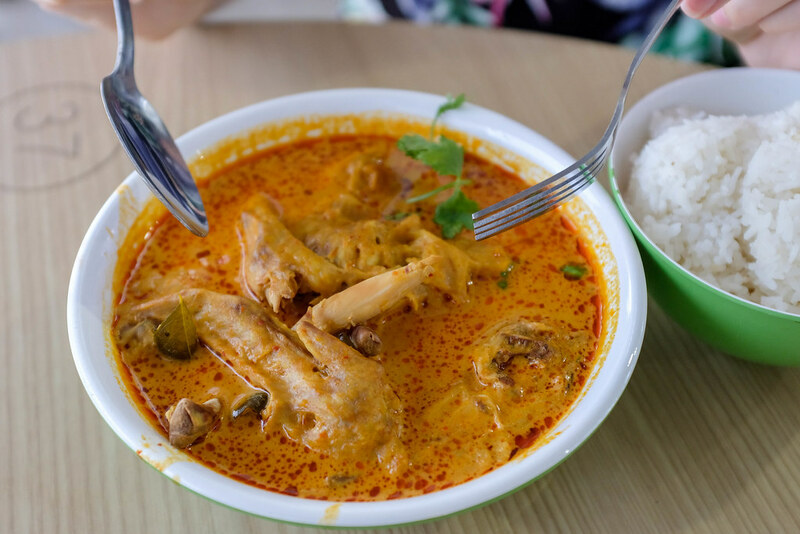 But with the shift to Bukit Merah, they have introduced the Signature Zhong Pin Curry Rice ($4.50) to meet the needs of the hungry working crowd. This was the most interesting dish of the three, simply because it was unlike the conventional curry chicken rice we know. The curry had a strong taste of spices, primarily lemongrass, and there wasn’t as much coconut milk. The savoury and sweet curry packed quite a spicy punch though. The chicken wings were tender and could be torn apart easily, while the potato chunks were not crumbly and still retained a starchy bite. My companions did not like this rendition of curry chicken as it was not what they are used to. But if you’re up for a different curry experience, come try it! Opening Hours: 11am to 7pm daily and 8am to 3pm on Sundays. Closed on Saturdays. Let’s build a food community that helps to update the food news in Singapore! Simply comment below if there’s any changes or additional info to Zhong Pin Noodle House. We will verify and update from our side. Thanks in advance! For more Sarawak Noodles, check out ! 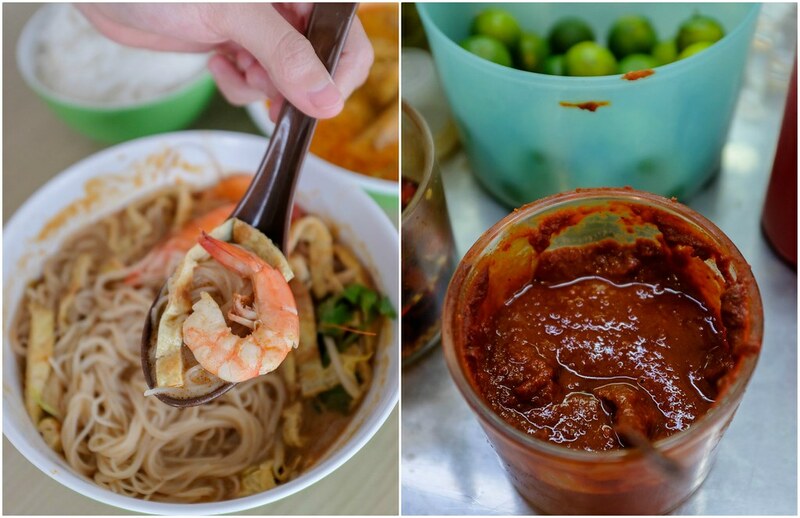 The post Zhong Pin Noodle House – Avid Home Cook Dishes Out Sarawak Specials appeared first on Miss Tam Chiak. Newly Renovated Trapizza Wows With Delicious Italian Menu! Fook Kin – Fancy some Chewy AND Crispy Caramelised Charsiew?